Is Kathy Griffin the reason Ana Gasteyer ended up on ‘Saturday Night Live’? The SNL alum says that may be the case, as it was Griffin who convinced her to join the improv group that paved the way for her tenure on the sketch show. Larry King: What were you doing before you got on? 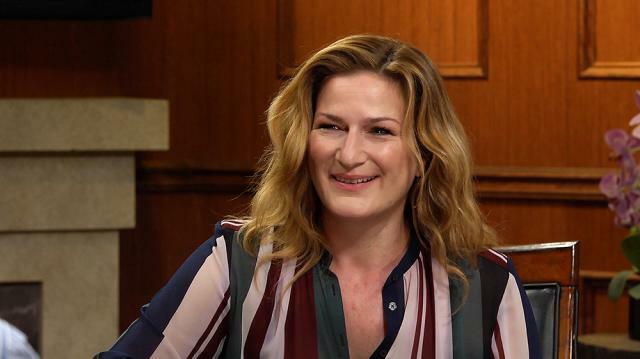 Ana Gasteyer: I was in The Groundlings out here in Los Angeles. Larry King: Everyone was in The Groundlings. Ana Gasteyer: Yeah. It was a great-- Kathy Griffin met me at an audition. I had gone to Northwestern and I did improvisation. I actually went to Northwestern as a vocalist. And then I, because it's in Chicago and improvisation's such a big thing in Chicago, I immediately fell down the comedy rabbit hole. I found my people. I found my comedy tribe. And then I moved out here to do comedy and to work as an actor. And I was at an audition with Kathy Griffin and she, she yelled at me for not doing The Groundlings. She basically, at the end of the day she was like "You're ridiculous if you don't do The Groundlings." It will open up so many doors for you. So, and I really liked her, I thought she was really funny, so I signed up for classes. And three years later I was on Saturday Night Live, which is sort of amazing.